Were you looking for Paxil Male Fertility or Paxil PPHN or Paxil Suicide or Wellbutrin lawsuits? Recent studies have found that women who take Paxil during certain times in their pregnancy are more likely to give birth to babies experiencing Paxil side effects than women who take other antidepressants or women who do not take any antidepressants during pregnancy. These Paxil side effects can be life-threatening and include serious health problems such as Paxil heart defects. Now, some women are investigating filing their own Paxil lawsuit, alleging the company did not properly warn them about the risks associated with taking the antidepressant during pregnancy. Send your Paxil claim to a lawyer who will review your claim at NO COST or obligation. The FDA reviewed two studies which found that women who took Paxil in the first three months of pregnancy were 1-1/2 to two times more likely to give birth to a child with a heart defect than women who took other antidepressants or pregnant women overall. In December 2005, The Food and Drug Administration (FDA) warned pregnant women and their doctors of an increased risk of heart defects in newborns when taking the antidepressant Paxil (which goes by the generic name paroxetine). The FDA reviewed two studies which found that women who took Paxil in the first three months of pregnancy were 1 1/2 to two times more likely to give birth to a child with a heart defect than women who took other antidepressants or pregnant women overall. Along with the warning, the FDA placed the drug into its second-highest category for risk of birth defects, advising patients that "this drug should usually not be taken during pregnancy." In a later warning, the FDA said that Paxil "should generally not be initiated in women who are in their first trimester of pregnancy or in women who plan to become pregnant in the near future." In the studies cited by the FDA, the risk of heart defects is about 1 percent overall and rose to 1.5 to 2 percent in infants born to women taking Paxil. As a consequence of these studies, GlaxoSmithKline and the FDA reclassified Paxil as a "Category D" drug for pregnant women. The classification means that studies in pregnant women have shown that the drug poses a risk to the fetus. Researchers have been concerned about selective serotonin reuptake inhibitors (SSRIs)—Paxil is in this category—on fetuses for some time, but the FDA's announcement now indicates significant risk, particularly since a large number of pregnant women (estimated as high as 20 percent) suffer from depression and are readily prescribed antidepressants, including Paxil. In December 2011, the FDA announced that studies gave conflicting results concerning the use of SSRIs while pregnant. Although two studies reportedly suggested a link between the use of SSRIs while pregnant and the development of PPHN, three studies did not support such a finding, making no clear link between SSRIs and PPHN. The FDA has now advised that women who are taking antidepressants while pregnant not stop. A study from Sweden found that birth defects were twice as common among Paxil users as among women taking other antidepressants or none at all, and that most birth defects involve holes and malformations in the chambers of the heart. The defects often heal on their own, but more severe cases must be surgically repaired. Since Paxil was approved in 1993, it has become one of the world's most popular antidepressants, taken by tens of millions of patients. According to GlaxoSmithKline, about 25 percent of Paxil users are women of childbearing age, between 18 and 45. 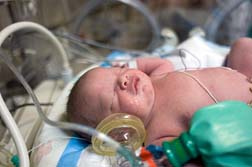 Women who took Paxil during the first trimester (the first three months of pregnancy) on or before December 2005 and whose babies were born with heart defects (such as a hole in the atrial or ventral septum), persistent pulmonary hypertension of the newborn (PPHN), Omphalocele (an abdominal birth defect), Hydrocephalus (water on the brain) and/or Craniosynostosis (misshapen head) could be eligible to file a Paxil birth defects lawsuit. Women whose babies were born with heart murmurs after Paxil use during the first trimester should also contact an attorney to discuss their legal options. In October, 2009, a jury awarded a family $2.5 million in a Paxil lawsuit filed against GlaxoSmithKline that alleged Paxil was responsible for a young boy's birth defects. The lawsuit claimed that Lyam Kilker, now three years old, suffered from Paxil birth defects, including two holes in his heart, which required surgery. Furthermore, the lawsuit argued that Lyam will require further surgery as he grows and that his heart defects were caused by exposure to Paxil prior to Lyam's birth. GlaxoSmithKline has said it will appeal the decision. Meanwhile the company reportedly settled around 800 Paxil birth defects lawsuits for approximately $1 billion in July 2010. If your baby was born with heart defects, and the mother took Paxil while pregnant, a lawyer may be able to help you. Please click the link below to send your Paxil birth defects complaint to an attorney who will evaluate your claim for free. Yet Another Entry on a Growing List of Paxil ..
Risk for Paxil Birth Defect Not the Only Conc.. Pregnant Women Balance Paxil Birth Defects, U..
GlaxoSmithKline $64 million class action settlement over Paxil promotion. GlaxoSmithKline Class action settlement awards more money to pediatric Paxil plaintiffs. My daughter was born to me in 03 when I was told Paxil was safe for use during pregnancy. She was a seemingly healthy newborn who showed no problems until we woke up on her 4 week birthday and she had died during the night. Coroner found that she has a valve defect and a hole in her heart. It's been almost 9 years and its not getting any easier to deal with knowing that her death was due to me taking a medication that I was told was safe. Son born with heart defect. I did take Paxil in my first trimester, as advised by my ob/gyn. I was on Paxil for depression and was pregnant. I suffered a miscarriage during the time I was on Paxil. I had a pregnancy before and had a healthy child. After being off Paxil and dealing with the miscarriage, I was pregnant again and had a healthy child. I still emotionally suffer from the loss daily. My son was born with craniosynostosis which required major neurosurgery at 3 months of age, he suffers from ADHD, dysthymic disorder and anxiety. I was given paxil in 1992 to help with depression. I was not told that it could cause heart defects. My son was found to have sino atrial node dysfunction in vitro. My son was also in a Children's Hospital study when he was around 5 years old, when I was told that there didn't appear to be a problem. I had him checked again when he was 15 years old, and the EKG showed positive for irregularity to indicate sino atrial node dysfunction. She has had 2 surgeries to remove a tumor over her airway; has had 2 documented heart murmurs, is partially deaf in one ear, and is suffering from encorpreses due to an unknown stomach or intestine issue. My daughter was diagnosed after birth with a heart murmur. 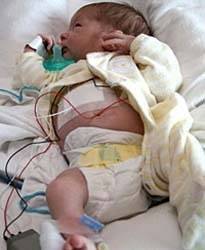 She was also born six weeks premature and stayed in a NICU for the first two weeks of her life. Son has undergone two surgeries and will have to have more surgeries. He also suffers from acid reflux. My daughter had surgery at four months to sever an artery (to her right arm) that was squeezing off her esophagus. Her right coronary artery is attached on the left, and she must undergo a yearly sestamibi stress test to determine if her heart still receives the right amount of oxygen. Should she ever have a negative report, she will need open heart surgery. We were told that we are to assume that she could go into sudden cardiac arrest at any time, but, as she has no symptoms at present, we just need to be prepared. My daughter was born with a pitutary brain tumor. As a result, she is now blind in one eye and the other eye, she is legally blind. She also has DI (diabetes Insipidus). She will have to be on growth hormones, steriods, DDAVP, and thyroid medications for the rest of her life. Is Paxil the reason she was born with this brain tumor? I think the FDA needs to further research into this. I took paxil for a little over a year after the birth of my first child. I was not pregnant at the time. My second child born 2 years after that was born with a severe heart defect, worse than that it wasn't noticed until she was 4 years old. We switched pediatricians and they found it immediately. Had they not, we would have lost her. She had heart surgery in 2005 to correct the problem and it has been a long slow road to recovery, but we are grateful every moment of every day that we still have her. My concern is whether this drug lingers in the body & how much we truly know about this drug. This was financially devastating to our family to have the surgeries, not to mention the stress & hardship on our daughter. No parent or child should ever have to go through this and I think further investigation to prevent this needs to be done. I know this is a very commonly prescribed anti anxiety/depressant and my concern is that heart defects in children are growing in numbers. The coincidence has me concerned. I think we need to get the word out here and in other places and see if we can get something accomplished. I am the mother of six. My first four were born healthy with no problems. I took Paxil before and during my first Trimester of my fifth pregnancy and this child was born with Congenital Heart Defects and has had four open-heart surgeries to date(she is only 5) and my sixth child was also born with CHD and has had two surgeries to date(she is only 2).